I feel you 100% on this and I actually know two people HSing in Marrakech. I will introduce through email. I started a Casablanca Homeschooling Association so that these same HS Co-op options would be there when I am ready. I truly believe that even in the best of school situations, that HSing can be a truly magical and much more effective educational route. Hi Morocco Mama – What is your take on the curriculum at the American School in Marrakech? 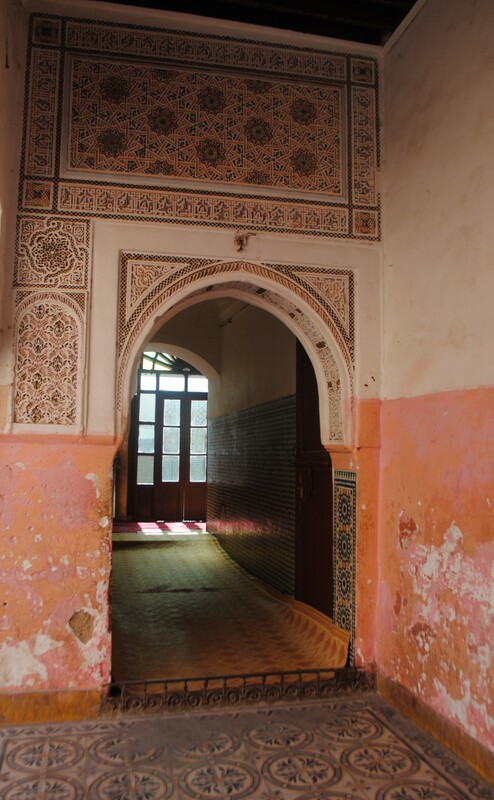 We are considering a move from the US to Marrakech (hubby is from Marrakech) and I want to be able to participate in my daughter’s education, so that seems like the only logical school for us (as I am not fluent in Arabic or French). Our daughter is just starting kindergarten. I do try to introduce many teachable moments but I am not ready to home school at this point in our lives. BTW your perspective on Moroccan schools’ lack of reading for enrichment is enlightening… my husband (a product of Moroccan education) recently informed me that he has never read an entire book! This was shocking to me, coming from the the US, but understandable now in the context of your post. that was in 84 and you were five when you learned to read. That was so sweet. You were ready and you memorized the whole words. I never had to bother with phonics. This is a brave undertaking. I agree that the educational system here — both public and private — generally leaves a lot to be desired. Besides what you mention above, it would be wonderful if schooling could also help young people develop “a democratic mentality” –a sense of civil society, which this country is going to need more and more if, as its younger generation seems to be demanding, it moves more and more in the direction of democracy. (Ironically, this is hard for the American School to do — in answer to Christine’s question above — since its prices automatically make it a place for children of the elite. ), If kids are being taught either directly or indirectly at school that, for example, cleaning up the trash in a neighborhood or alongside a public road is only the job of the lowest street-cleaners so that it’s OK to throw your empty juice bottle or cookie wrapper wherever, then it ultimately won’t much matter if a few things are changed in the constitution — the “privileged class” mentality will continue. May everything and everyone you need for this undertaking appear! Inshallah. I think it is a great and very needed thing you plan. i wish you Allah’s blessings for it and I will write you an email about further thoughts, inchaalah. That is exciting news. I have been homeschooling my kids for three years and we are heading into another year. I can’t give much guidance on homeschooling in Morocco because I do it in the US, but if you have any questions in terms of resources I am here for you. Insha’Allah you will love homeschooling. The first year can be the hardest, so don’t give up. That’s my best advice. Great idea! If and when we make the big move this is something I would seriously consider with my sons. It’s true about Morocco not being a culture of reading. My husband never read a book in Arabic – ever. He’d never read a complete book until he came here and read one in English (his 3rd language!) It’s so strange for me to even fathom never having read a book until the age of 27!! Salams, thank you for our kind offer…we are doing a co-op but it ended up being for older kids ages 9-13. I am sending my younger ones to school and homeschooling only my 9-year-old. But perhaps we could organize a group for 4-5-year-olds with some fun activities. Let’s talk soon insha Allah. I’d love to exchange e-mails with you. May Allah keep you safe and bless your family. I will be joining you homeschooling in Marrakech in couple of years, hopefully. We are still trying to figure a way out to move in Marrakech. I am a homeschooling mother in the States. However, my husband is Moroccan, and we plan on moving back to Morocco in the next few years. My understanding, however, is that homeschooling is illegal and not recognized in Morocco. I would love to continue h/s-ing once we move. Can you give me some direction on how this works in Morocco? Thank you. I don’t think you’d have any trouble homeschooling here. If there were any issues you could say that your child is attending American school online. There are many French kids here who do online schooling connected to the French system called CNED. Given all the children who are REALLY not in school and who are working from a young age, I think your children would be in a completely different category and not given any trouble. Good luck Aayah. thank you for your response. i guess my concern is more with having their education recognized with a high schooll diploma so that they can go on to college afterward. Here in the states I am allowed to issue the diploma myself. But w/o any type of formal acceptance of HSing in Morocco, I fear that my educating them at home will be in vain. Side note, I am traveling back to Morocco next month for a few months. I would be interested in perhaps meeting you and speaking in person. I am also excited to visit the Amal Center! Hello homeschoolers. As a retired British Headmaster, now writer, I’d be very interested in helping parents set up a homeschooling group/association/coop. My current thinking is Morocco. Yes, parents know best- but to raise a child takes a village! Interested? Check out my summary cv at http://www.pocketbookenglish.net/cv.pdf.